Up to Wyvern town we find ourselves! 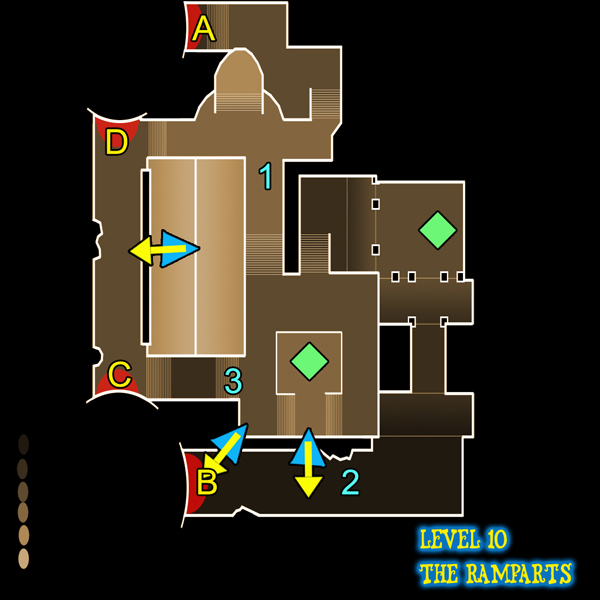 Ramparts looks pretty intense, especially due to being asymmetrical, but with some beefy Squire blockades and relentless mage tower support, this level will be manageable. 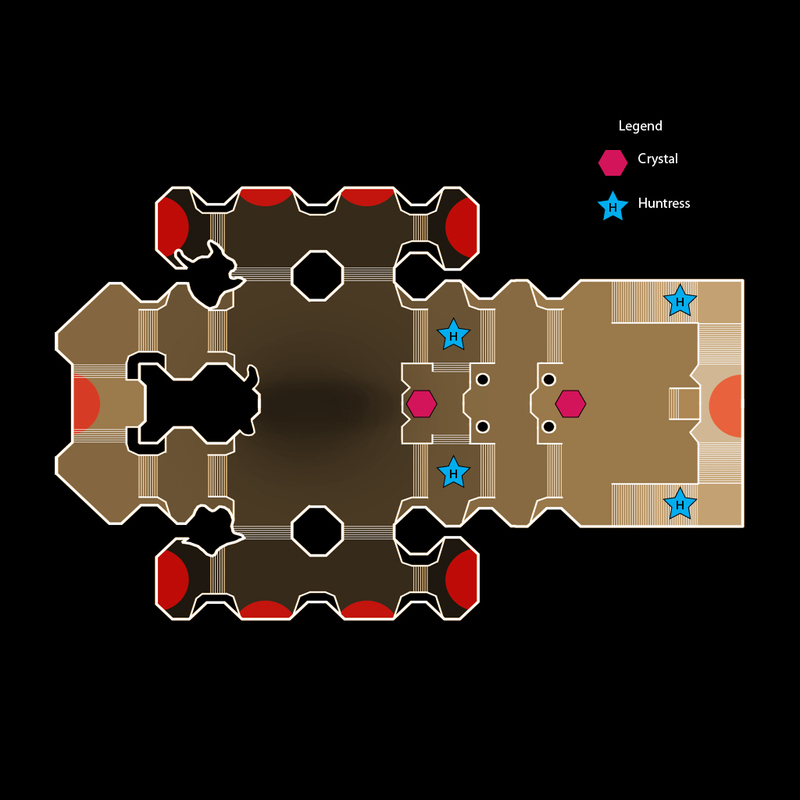 For one, it’s one of the few levels with only three choke points, making it less chaotic. Follow the map for anti-air and all will go well provided the choke points don’t fall to kobolds or ogres in the south. 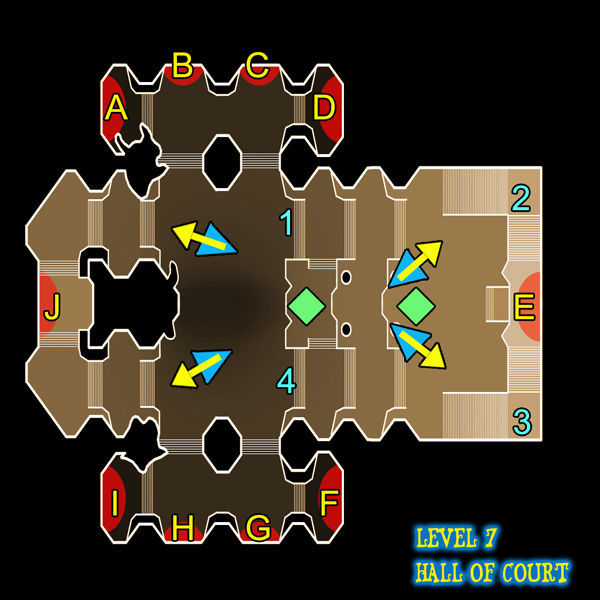 Start with blockades as usual, 1 can be taken care of with magic blockades if they’re backed by a strength drain, but ideally use two bouncers here. 3 is the easiest choke point in all of the Area 3, a bouncer and a bowler is all that’ll be necessary there. There are plenty of enemies causing traffic behind the large red roof, but don’t worry about putting towers there, focus on the choke points. 2 can also be done with magic blockades if properly supported, but ogres come this way so be wary. At 1, you’ll want something big and powerful like a slice n dice or a lightning tower supplemented with bowlers or fireball towers cross firing from the roof and from the ledge creating a big death X in front of the choke point. Towards the end, throw in some additional protection as necessary. 2 is a similar case, but since enemies follow a straight line, use harpoons to backup the blockades. The fact that ogres attack 2 means put a slice n dice rather than a lightning tower down there. Inferno and gas traps are going to be incredibly useful up at 1 due to the high volume of enemies, where-as proximity mines or ensnare and electric combos are more effective at 2. Wyverns come from between C and D almost single file, so a harpoon is all that should be necessary there. However, down at 2, two fireball towers can be used with a lightning tower between them. Be careful using harpoons with low attack speed as they can get distracted, but they’ll be helpful in killing mages that attack 2, so play it the way you feel works best for you. Build up 1 first as it’ll take the most abuse from kobolds. 3 should literally be self sufficient, but throw in some traps if things get scary. Ogres attack 2 a couple times, so ideally someone should be down there to help with the defense. Players should focus their hero awesomeness at 2 and at 1.